If you’re a golfer, you’ll know that not only is Scotland the birthplace of the sport (all the way back in the 15th century, by the way), but it’s home to some of the world’s finest courses. And how better to explore them all than from Glasgow? From your Native Glasgow apartment in the heart of the city, iconic golfing spots are just a leisurely drive away, making it the perfect base for a truly spectacular golfing weekend. Here’s our pick of the best golf courses around Glasgow. Part of the epic St Andrews Links, the Old Course is the oldest and most renowned golf course in the world. Golfers travel here from all across the globe to experience the legendary Swilcan Bridge and Hell Bunker, and tread in the footsteps of all the greats that have played here. The course is breathtakingly beautiful and, despite its majestic status, it remains a public golf course and is open to all. Just minutes from your apartment is one of Glasgow’s beloved golf course, Pollok Golf Club, founded in 1892 and spread across miles of glorious parkland. It’s overlooked by the magnificent Pollok House – a gorgeous country home that’s perfect for non-golfers to wander around while you play – with an elegant club house and a course that’s perfect for all abilities. Founded in 1878 by a bunch of passionate golf lovers, the Royal Troon has come a long way. It’s now known as the most challenging course on the Championship rota and last hosted the competition in 2016 – the ninth time it had been held at Troon. 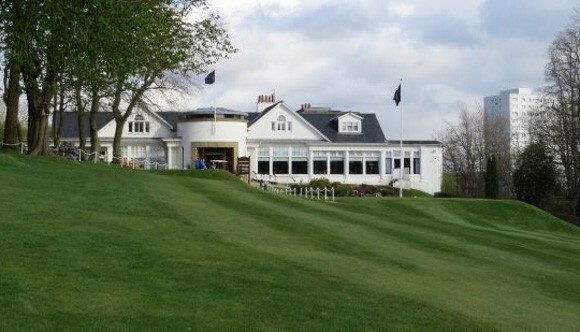 It also has the smallest championship hole in the world (the 9th hole known as The Postage Stamp) and is world famous! Spectacular in every way, from its lush grounds to its regal clubhouse, Loch Lomond is quite simply world class. You’ll enjoy beautifully manicured fairways against a backdrop of misty mountains, with glimpses of the legendary loch behind the trees. The original site of the Open Championship in 1860, Prestwick is still renowned as one of the world’s finest golfing experiences. With natural obstacles like the River Pow and the sand dunes, it’s also a great spot for nature lovers. Nestled on the West Coast, Glasgow Gailes was opened in 1892 by Glasgow Golf Club, the 9th oldest in the world. Brilliantly challenging with its gorse and heather lined fairways, it’s often the final qualifying course of the Open Championship and a must-play for serious golfers. We’ll sort your stay, you book your tee time. Find your apartment at Native Glasgow today.